Stop in or Click The Links Below to Sign Up! $349.99 per year with a minimum of 12 months contract, payable yearly or $100.00 one time Setup Fee with monthly payments of $29.99 per month. $799.99 per year with a minimum of 12 months contract, payable yearly or $100.00 one time Setup Fee with monthly payments of $79.99 per month. 3+ members of the same household receive free range time, $10 rental guns. Eligible for regular members-only special discounts. 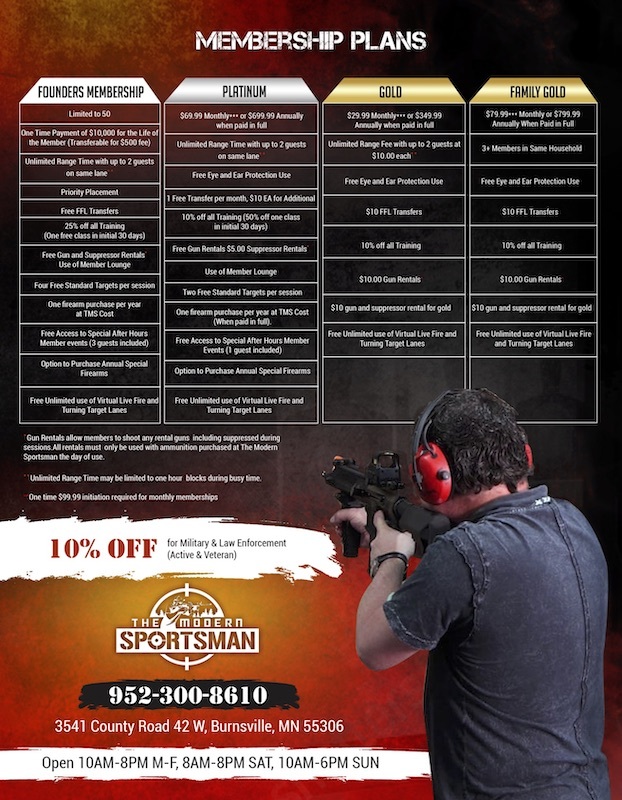 $10 FFL Transfers, 10% off TMS Training, $10 Gun Rentals. Founders Membership Limited to Only 50 Memberships! 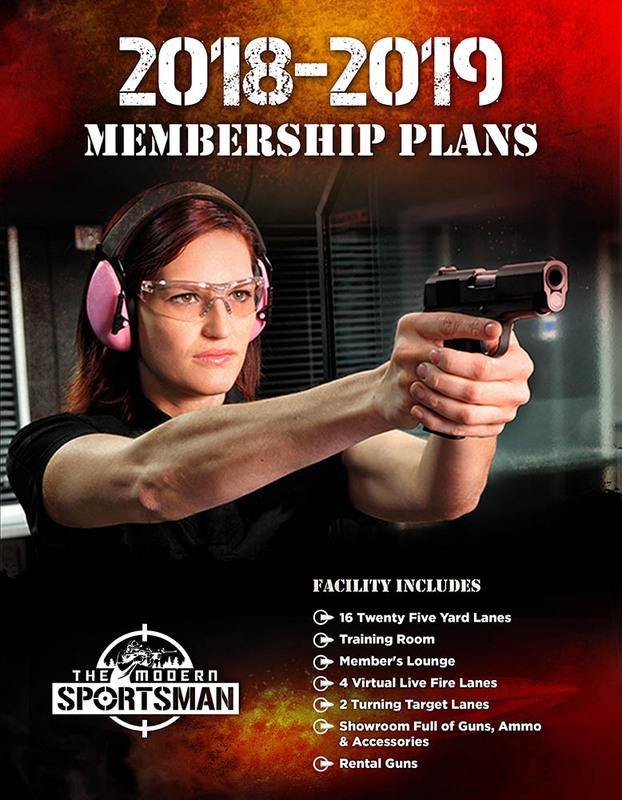 Lifetime membership, one time membership charge of $10,000.00.Transferable with a $500 fee. Free range time for member and two guests, free range gun rental. Eligible for members-only special discounts. 24 free guest membership passes each year. Immediate family members shoot for free. Use of exclusive Member's Lounge.